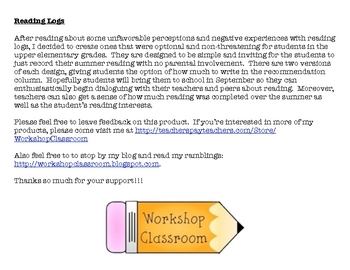 After reading about some unfavorable perceptions and negative experiences with reading logs, I decided to create ones that were optional and non-threatening for students in the upper elementary grades. 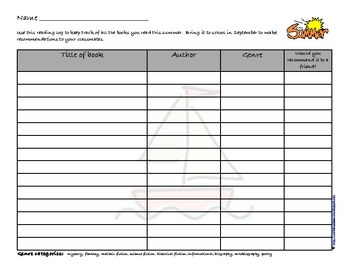 They are designed to be simple and inviting for the students to just record their summer reading with no parental involvement. There are two versions of each design, giving students the option of how much to write in the recommendation column. Hopefully students will bring them to school in September so they can enthusiastically begin dialoguing with their teachers and peers about reading. 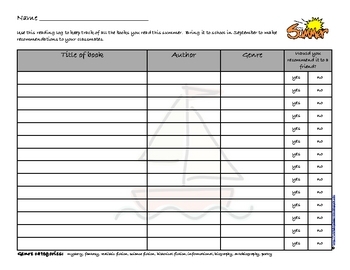 Moreover, teachers can also get a sense of how much reading was completed over the summer as well as the student's reading interests.